Inquire about our “SSSS” ®© through the reservation form. Just check the box for “SSSS”®©. Complete the rest of the reservation form. Make sure you indicate the exact confirmed dates you would like to travel. Be sure to indicate how many people are in your party. Don’t forget to indicate ages of any children. 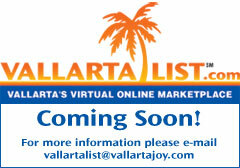 Submit the reservation form via e-mail to VallartaJoySM. Be prepared to complete an application and make full payment for your vacation within 24 hours of VallartaJoy’s response to your request. You must accept or reject your SSSS®© vacation home choice within 24 hours of receiving notice its availability. If you accept the selection, you must complete an application and pay in full immediately by credit card, bank wire, or PayPal. If you accept the selection, your reservation will be confirmed, you will receive additional photos and confirmation of the precise vacation home selected for your through SSSS®©. If you reject the selection, you are free to do so, but cannot submit another SSSS® request for 30 days. We will select one of our homes that is participating in the SSSS® specials at the time and recommend it to you at a significant savings, often up to 60%, based on space availability at participating homes and subject to prior rental. We will select up to 2 suitable SSSS ® participating homes from among our available condos or villas in Vallarta. The selected vacation home(s) will be located at one of our resort areas featured on our website and will be appropriate for your size party and dates. Once you accept the SSSS® price and offered vacation home, complete an application and submit payment, we will send you additional photos of your SSSS® and arrival/welcome instructions. The only real mystery or “surprise” involved is which of our lovely homes you will enjoy. Any home featured in this program will be one that is regularly offered to rent from among our inventory of homes. There’s no need to worry about the quality of your accommodations. You can rest assured that the only mystery is knowing the precise home we have selected for you until after payment. Our same exceptional quality, inspection and maintenance standards apply to any home selected for your vacation. The selection always will be in our 5-star resort condos and villas. Enjoy this “suite” deal!